Ian Stent looks at MMOC Mag 73. The photo looks like it was taken two or three years ago at Stoneleigh and wasn't one from the magazine. 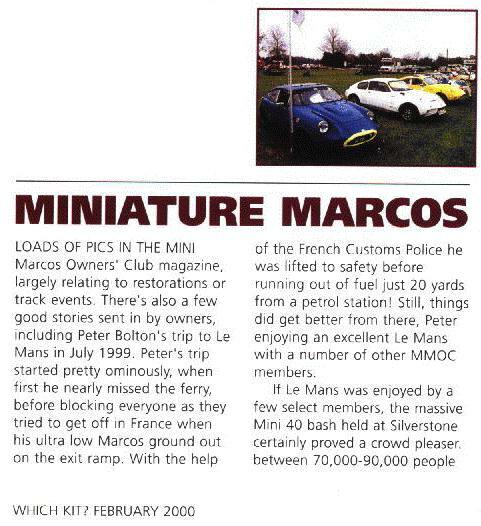 The correct links for the Marcos factory site and Mark Saxby's Unofficial Marcos Home Page should be found on our Marcos Links page.